There’s a bumper summer season line-up at The Fugard Bioscope during December and January. Presenting screenings of the world’s best recorded live theatre, opera and ballet productions from companies such as the Royal Shakespeare Company, the Bolshoi Ballet and the Royal Ballet, the Fugard Bioscope experience transports you to the heart of the action on stage viewed on a full size high definition cinema screen. Screenings start at the earlier time of 10am and The Fugard Theatre coffee shop and bar is open from 9am, serving the finest coffee and a selection of snacks and drinks. ‘Romeo And Juliet’ is the most famous story of love at first sight and explodes with intense passion and an irresistible desire for change, but leads all too quickly to heartbreaking consequences. The Guardian UK described this Royal Shakespeare Company production as a “swift, lively production” and Whatsonstage called it a “Youthful and energetic take on Shakespeare’s tragedy”. Kenneth MacMillan’s much-loved classic ‘Mayerling’, presented by The Royal Ballet, is one of the most demanding roles ever created for a male dancer and a complex work around the psychologically tormented heir to the Habsburg Empire, Crown Prince Rudolf. From the ballet’s start, the glamour of the Austro-Hungarian court is contrasted with undercurrents of sexual and political intrigue that drive the story to its violent climax. This ballet, bursting with intensity, madness and passion, proves that sometimes the truth is more scandalous than fiction. 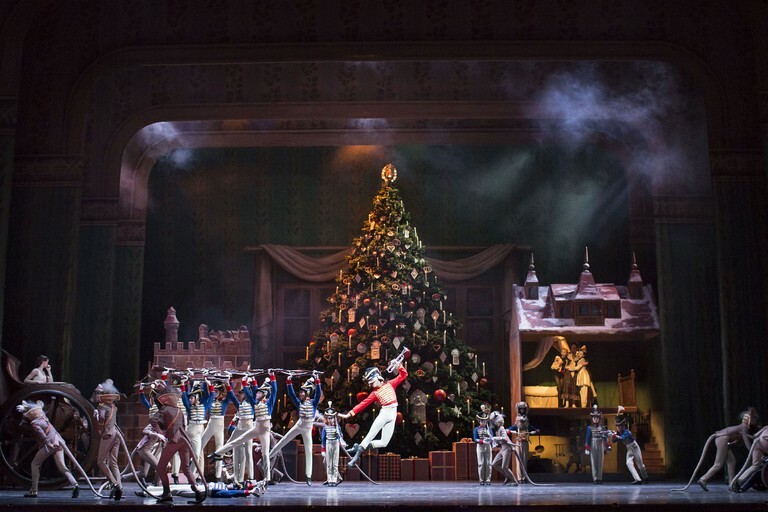 The Royal Ballet’s ‘The Nutcracker’ always makes for a delicious seasonal treat for all the family. Tchaikovsky’s much-loved music is matched to a magical adventure on Christmas Eve for Clara and her Nutcracker doll. Their journey to the Land of Sweets brings with it some of the most familiar of all ballet moments, such as the Dance of the Sugar Plum Fairy and the Waltz of the Flowers. Peter Wright’s production for The Royal Ballet keeps true to the spirit of this Russian ballet classic, with period details and dancing snowflakes. * Screenings take place at the Fugard Theatre on Sundays at 10am.Tickets cost R100 and can be booked directly through the Fugard Theatre box office on 021 461 4554; or online at www.thefugard.com. There is a 20% discount for Friends of the Fugard and a 15% discount for pensioners. These discounted tickets are available through the box office. For more information about the 2018 Fugard Bioscope season, visit www.thefugard.com.